Versatile. Healthy. Easy. Cheap. Fast. Delicious! Preheat oven to 375 degrees. Put milk in one bowl, and cheese, bread crumbs and seasonings in another. 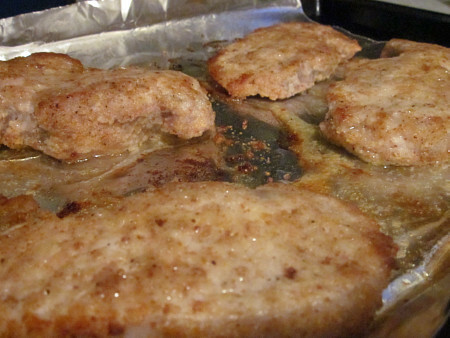 Dip pork chops in milk first, then bread crumb mixture, then place on a foil lined baking sheet coated with cooking spray. Bake for approximately 10 minutes on each side. 5 Responses to Your new dinnertime best friend. These easy weekday meals are so welcomed for a working mom! I have been loving Taste of Home easy weeknight meals lately. Thanks for drawing my attention to this one! Made these tonight & they came out great! Thanks so much!